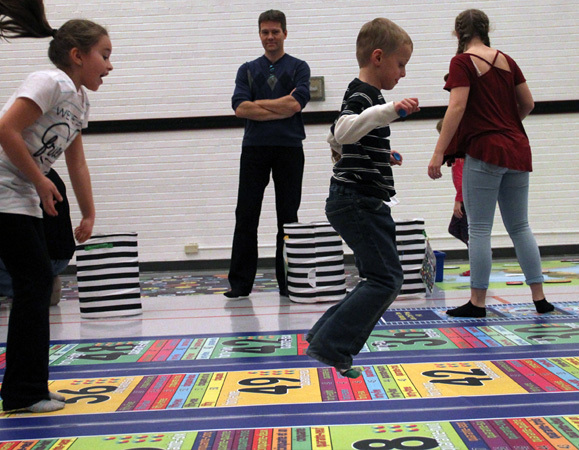 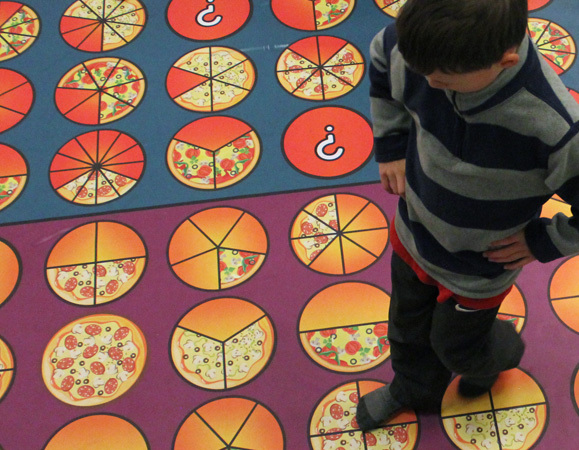 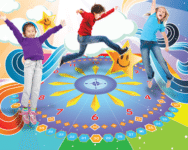 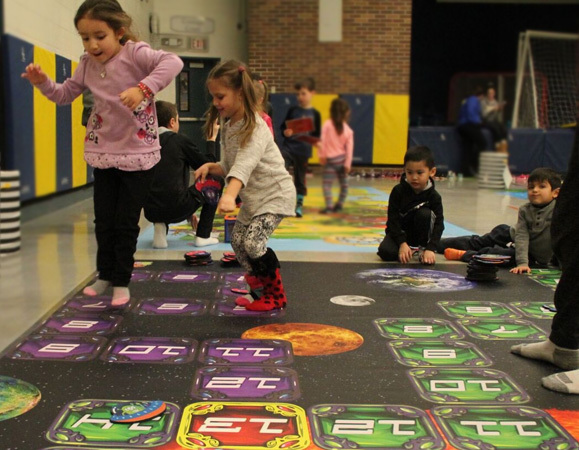 JUMP2Math is a kinesthetic, multi-sensory approach to teaching Math that incorporates physical exercise, stretching, cross-body movements, cooperative learning, and visually-pleasing floor mats. This active Math program allows parents, students, and teachers to enjoy active learning together while traveling to each interactive Math station. 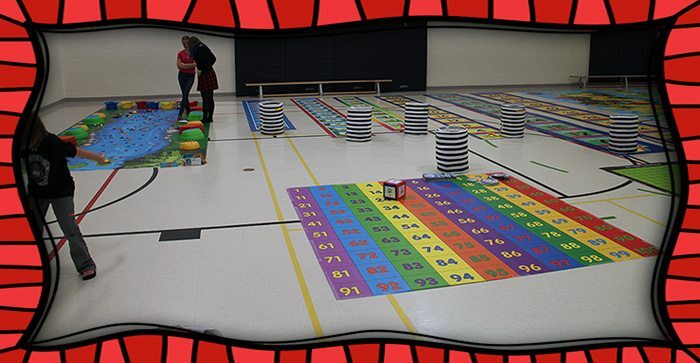 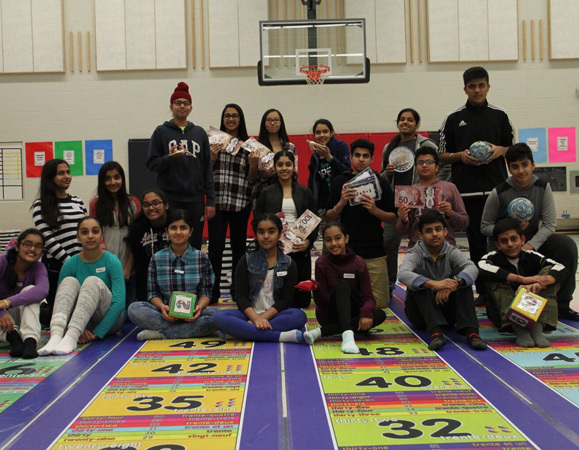 Life-size math board games, giant manipulatives, and colourful activity Math Mats will be placed in your school gymnasium. 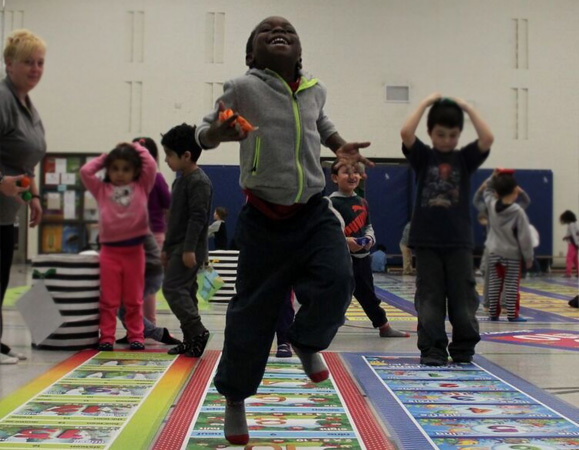 This program shows how movement can improve students’ mental and physical well-being and contribute to their joy in learning Math. 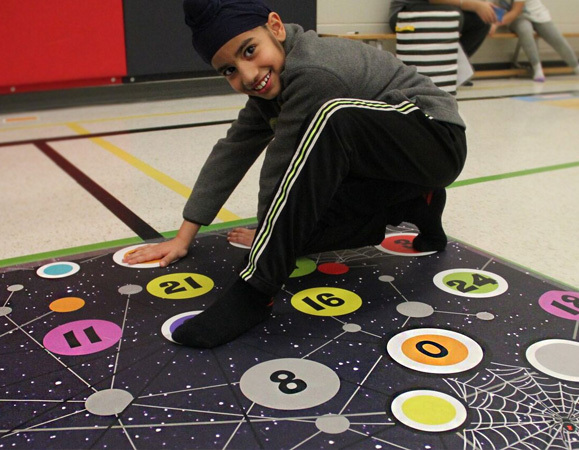 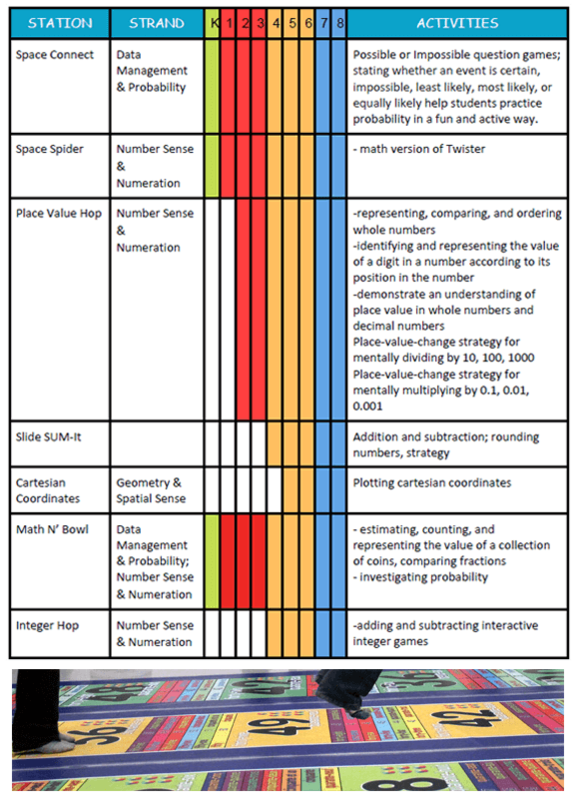 With our JUMP2Math program activities and games, students literally see the Math. 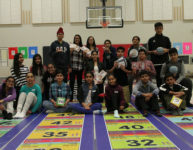 They get physical with it. 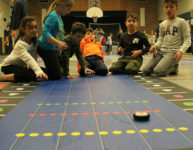 They play with it. They discover the patterns and find solutions on their own and collaboratively in teams. 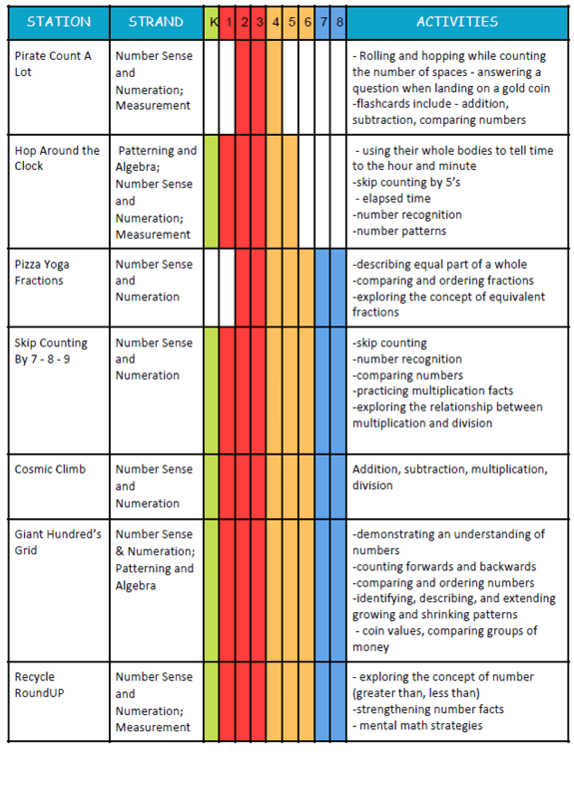 Parents (and teachers on JUMP2Math Day) can strengthen these ideas and support their students as they experience success with Math concepts. A website portal with hundreds of activities for both teachers and parents will be included and actual Math mats will be available for purchase. These games and activities have the power to change students’ lives! The Ultimate Math Night from Jump2Math on Vimeo. 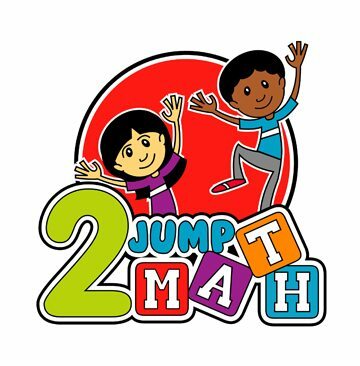 in what they have learned during Jump2Math Day! 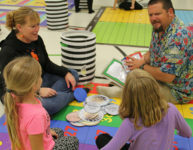 Are you applying for the Parents Reaching Out Grant? 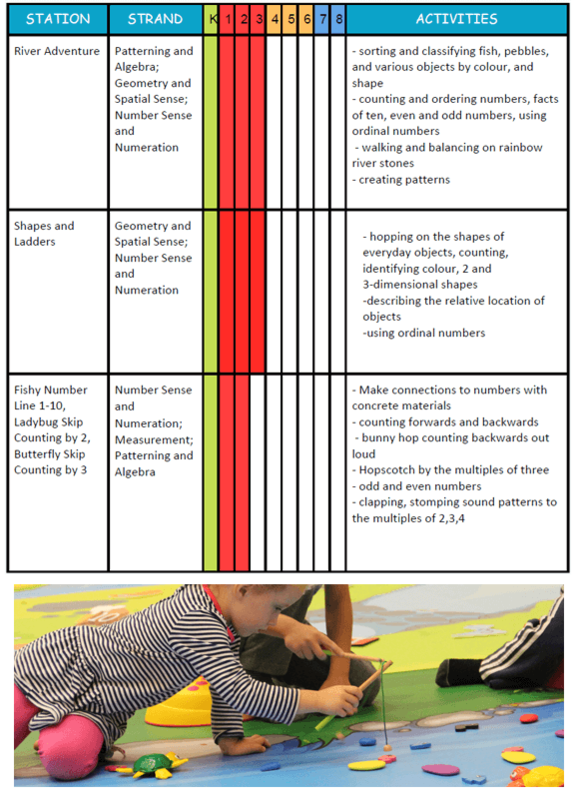 Check out our Progrant templates below. 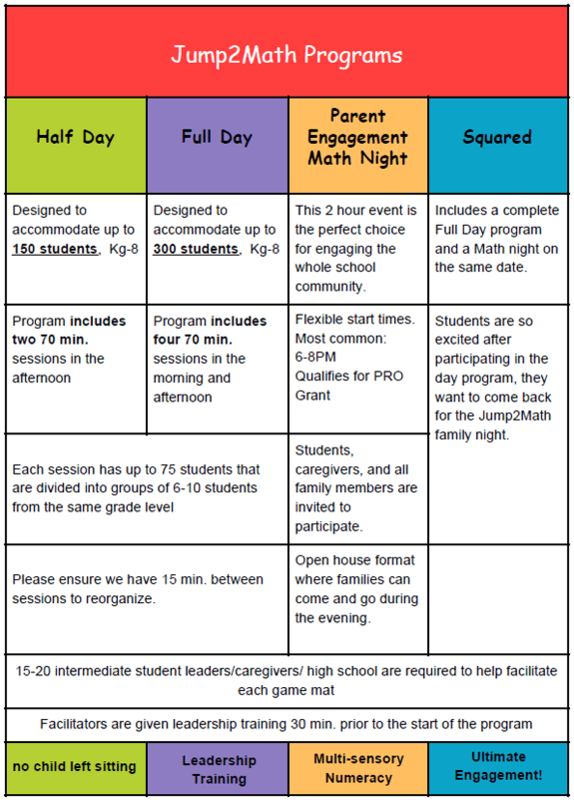 Jump2math Parent Math Night Program – We visit your school! 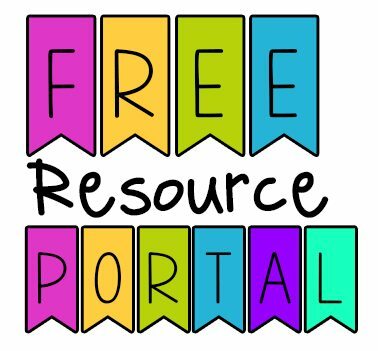 Every school we visit gains access to our extensive resource website to continue the learning.